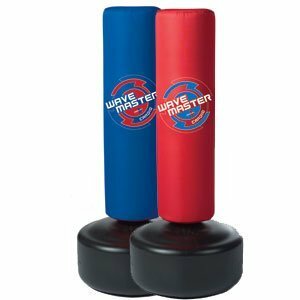 Ideal for cardio kickboxing workouts, the Cardio Wavemaster features a 40-inch tall bag made of durable, high-density foam and a poly shell. The longer bag and low-profile base allow for more kicks and strikes, while the base fills with sand or water and is rounded for easy roll relocation. Features four height adjustments from 53.5 inches to 65.5 inches.